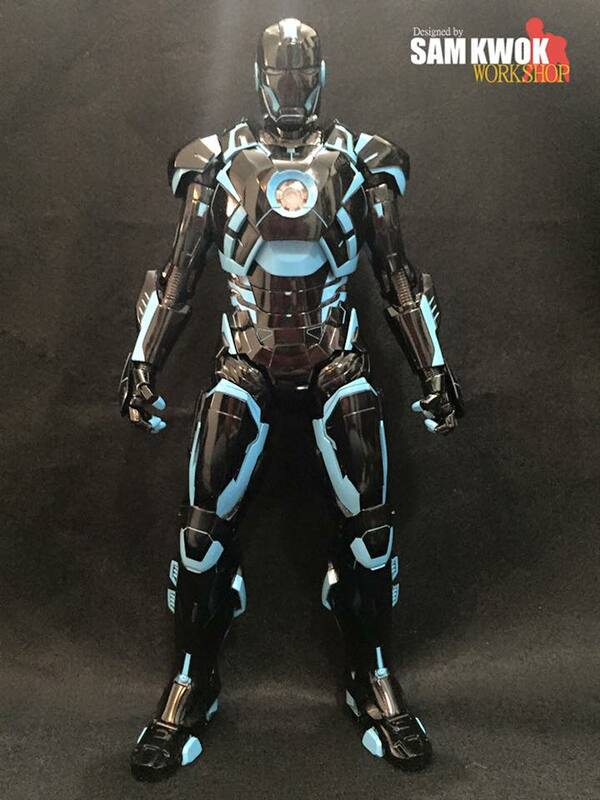 Samkwok workshop has released another one of their custom Iron Man action figure creations. This one is inspired by the awesome look and style of Tron. It was created using the Hot Toys 1/6th scale Mark 9 action figure. You can see some of their previous work at the following links: Batman Iron Man and Deadpool Iron Man Face Off; Astonishing Iron Man Alien Xenomorph; and Buzz Lightyear and Iron Man.